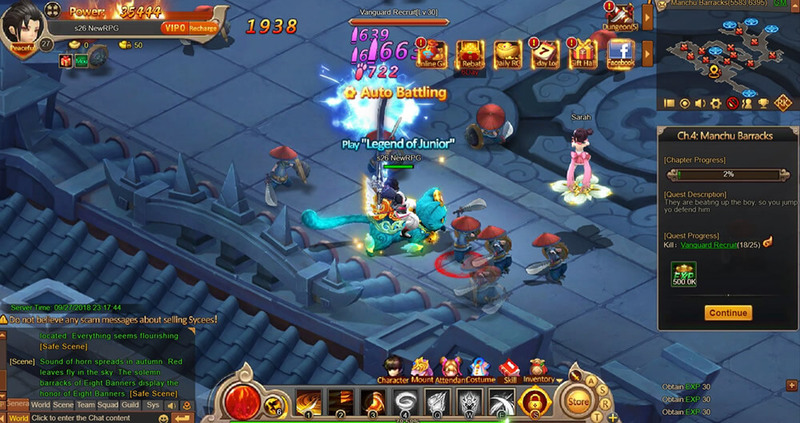 Legend of Junior is a 3D action based browser role playing game. In-game quests and multiple events – for example Guild Wars. Game also has auto-attack mode, leave it on while you are busy and play manually when you have the time for it. Fights are very action packed, especially boss fights. Upgrade your mount to transform them into useful battle machines. Overall graphics are cartoonish, but not bad at all for a browser game. Destroy boss monsters to obtain unique equipment. Choose your skills and manage which skills auto-attack uses as well – in case you use that mode. Visit Legend of Junior website!